I am in Paros once again, giving the annual yoga vacation that, as of this year, has morphed into the now-annual yoga and meditation vacation. Once again I feel my soul land here. Once again I find myself at home, this time with a very rudimentary grasp of the basics of the Greek language. Once again the group that has assembled is beyond beautiful, as a micro community as well on an individual basis. Once again our senses are oversaturated by the air, water, sun and sand that feel like nowhere else…by the food that never tastes as good elsewhere in the world…by the smells of oregano, salty air, cooking food and sun-soaked skin…by the sounds of the wind propelled by the Anemoi, the crash of the waves, the fizzle of salty water bubbling when one’s head goes under the water in the sea…by the spectrum of blues that beg us to reconsider the color wheel and the soft pink that illuminates the horizon as Eos opens the gates of heaven for Helios to begin the process of streaking the sun through the sky. Here’s to the years and years to come, replete with more lovely people filled with shared intention, traveling across the world to experience these events that can barely be described, but leave us speechless once living them. And thank you, to every one of you who has been a part of our jaunts, is here in Greece now, and will be with us on future travels. 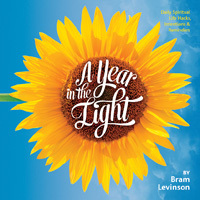 A Year In The Light book - click image for information and/or to purchase. 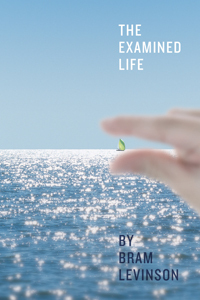 The Examined Life book - click image for information and/or to purchase. Massive thanks to the team at @pfizer Canada for welcoming me for today's talk on health, wellness and mindfulness. I had such a great time, was totally blown away by the care the company offers its employees. Thanks to @energie_encorps for making it happen!